The Motel is situated on the Pacific Highway (Grafton Street) right in the centre of town. 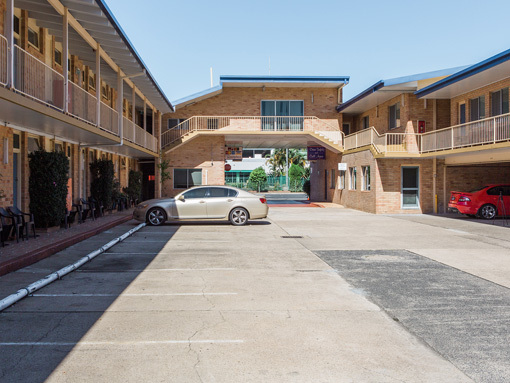 You can park your car at the Motel and walk to lawn bowls, ex-serviceman’s club with bistro, Palms shopping centre, night spots, Olympic pool and library. Park at the motel and walk to town and facilities.